John Rhys-Davies is a Welsh actor, voice actor and producer, known for his portrayal of Gimli and the voice of Treebeard in the Lord of the Rings trilogy and the charismatic excavator Sallah in the Indiana Jones films. 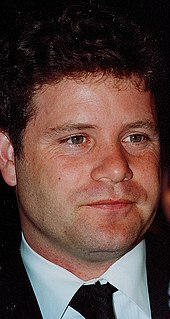 He also played Agent Michael Malone in the 1993 remake of the 1950s television series The Untouchables, Pilot Vasco Rodrigues in the mini-series Shōgun, Professor Maximillian Arturo in Sliders, King Richard I in Robin of Sherwood, General Leonid Pushkin in the James Bond film The Living Daylights, and Macro in I, Claudius. 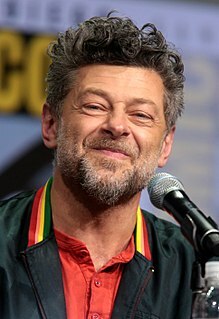 Additionally, he provided the voices of Cassim in Disney's Aladdin and the King of Thieves, Macbeth in Gargoyles, Man Ray in SpongeBob SquarePants, Hades in Justice League and Tobias in the computer game Freelancer. John Allen Astin is an American actor who has appeared in numerous films and television series, as well as a television director and voice artist. He is best known for starring as Gomez Addams in The Addams Family (1964–1966), reprising the role in the television film Halloween with the New Addams Family (1977) and the animated series The Addams Family (1992–1993). Notable film projects include West Side Story (1961), That Touch of Mink (1962), Move Over Darling (1963), Freaky Friday (1976), National Lampoon's European Vacation (1985), Teen Wolf Too (1987) and The Frighteners (1996). 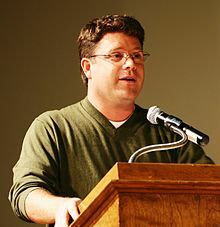 His second wife was actress Patty Duke and he is the adoptive father of Duke's son, actor Sean Astin. Shaun Mark Bean, credited professionally as Sean Bean, is an English actor. 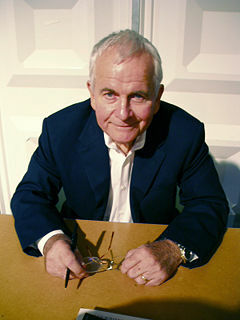 After graduating from the Royal Academy of Dramatic Art, Bean made his professional debut in a theatre production of Romeo and Juliet in 1983. Retaining his Yorkshire accent, he first found mainstream success for his portrayal of Richard Sharpe in the ITV series Sharpe. 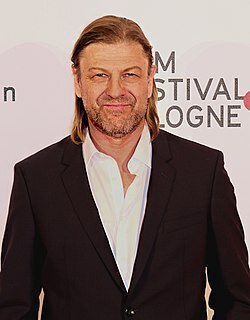 Bean subsequently gained further recognition for his performance as Ned Stark in the HBO epic fantasy series Game of Thrones, and won both a BAFTA and an International Emmy, both for Best Actor. He has also been nominated for a Saturn Award. One of his most prominent film roles was Boromir in The Lord of the Rings trilogy (2001–2003). The Hobbit is a 1977 American animated musical television special created by Rankin/Bass, a studio known for their holiday specials, and animated by Topcraft, a precursor to Studio Ghibli. The film is an adaptation of the 1937 book of the same name by J. R. R. Tolkien, and was first broadcast on NBC in the United States on Sunday, November 27, 1977. Anna Marie "Patty" Duke was an American actress, appearing on stage, film, and television. Her first big break came from her Academy Award winning performance at age 16 for portraying Helen Keller in The Miracle Worker (1962), a role that she had originated on Broadway. The following year she was given her own show, The Patty Duke Show, in which she played the dual role of "identical cousins" Cathy and Patty Lane. She later progressed to more mature roles such as that of Neely O'Hara in the film Valley of the Dolls (1967). Over the course of her career, she received ten Emmy Award nominations and three Emmy Awards as well as two Golden Globe Awards. Duke also served as president of the Screen Actors Guild from 1985 to 1988. Desiderio Alberto Arnaz IV, known professionally as Desi Arnaz Jr., is an American actor and musician. He is the son of Lucille Ball and Desi Arnaz.